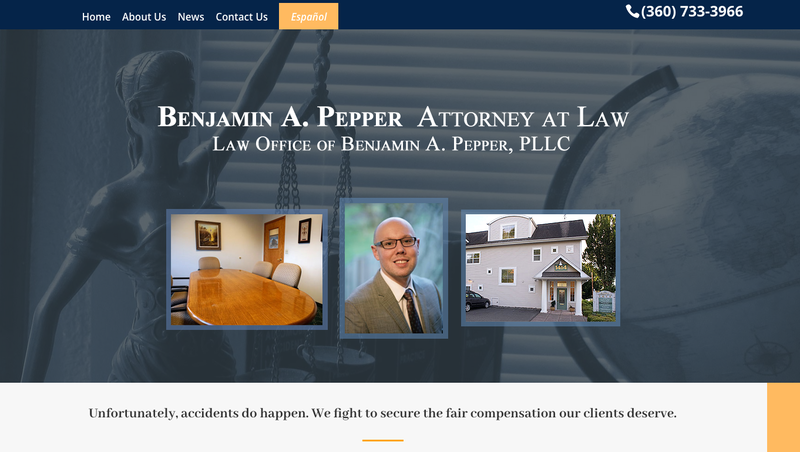 Benjamin Pepper is a personal injury lawyer acquiring fair compensation clients deserve. He speaks fluent Spanish serving the large Spanish-speaking community in Northwest Washington. 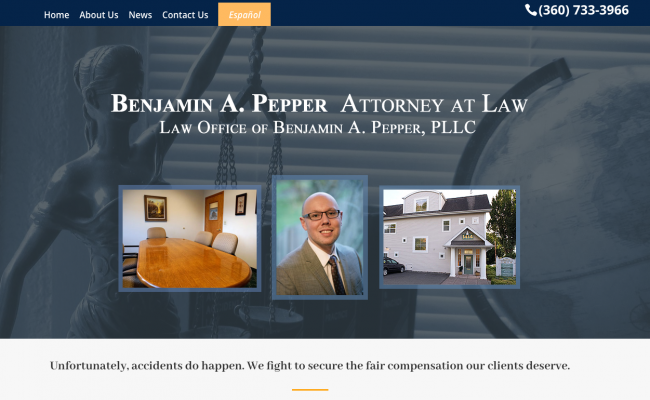 "Michelle did a fantastic job building my small business's website. I had some very specific requests, and she executed exactly what I wanted, and added some great suggestions and features as well. I would absolutely recommend her. Thanks Michelle!"